We have a library which can aptly be called as a “Treasure House” of books. Apart from a large number of books on various subjects, there are invaluable reference books which can be consulted in the library itself. A good number of newspapers, national and international magazines and journals are subscribed for the benefit of the students. Books that are a visual delight to the young minds and the sufficient number of CDs which unfold the world are within the reach of the students. 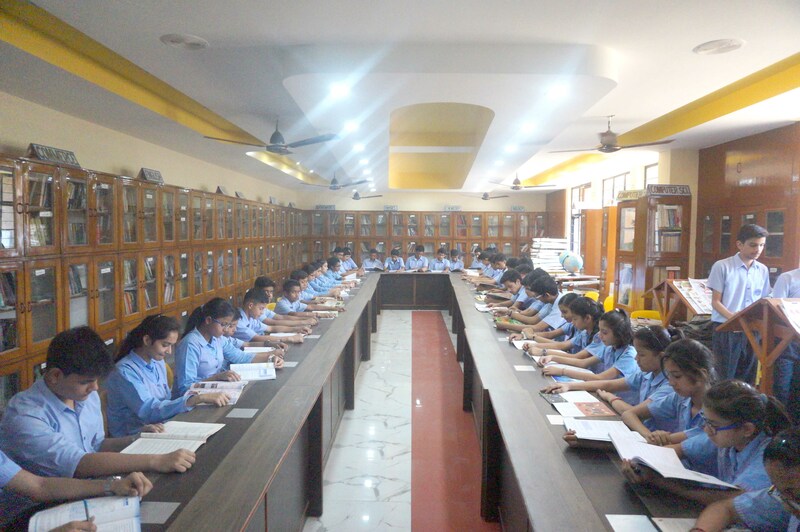 A qualified librarian helps students to select the books and creates an interest among students for reading. The library work is totally computerized. There is a wonderful and envious collection of Reference books, Fictions, G.K. books, Encyclopedias, Science manual educational reports and reviews, which enrich the young minds and add to the knowledge of the teaching faculty.